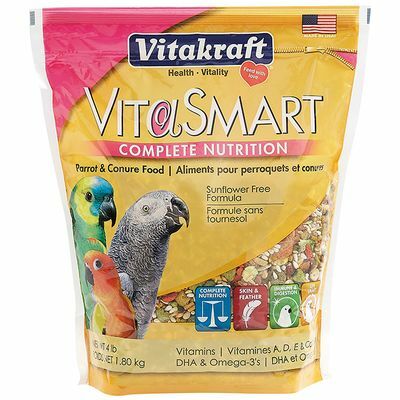 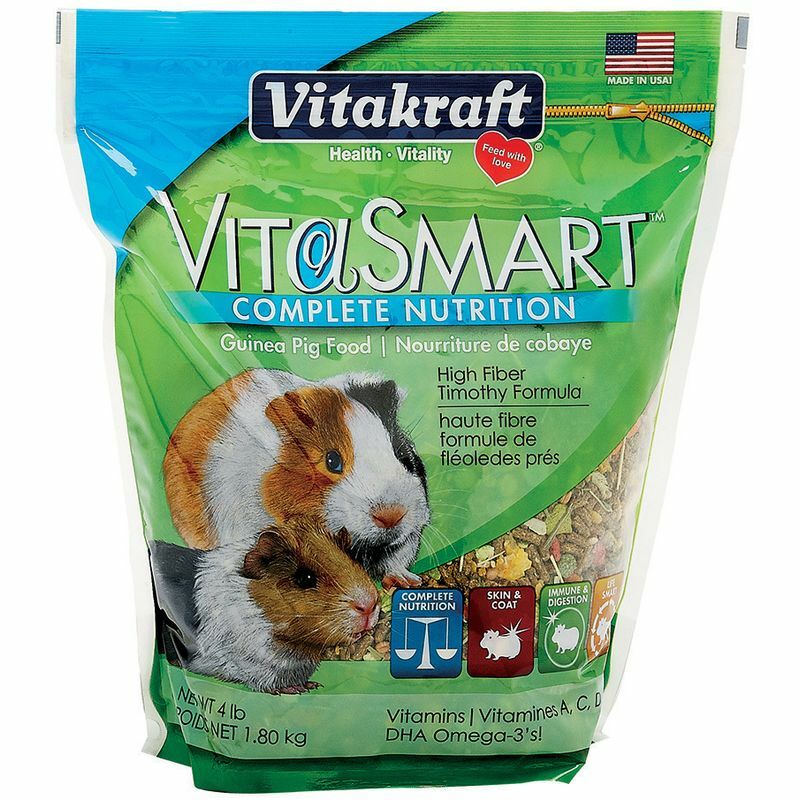 Daily guinea pig diet fortified with key vitamins and nutrients to help maintain health and wellness, with extra Vitamin C. With Timothy hay as its first ingredient, VitaSmart® Guinea Pig Food is a healthy and delicious high-fiber diet. 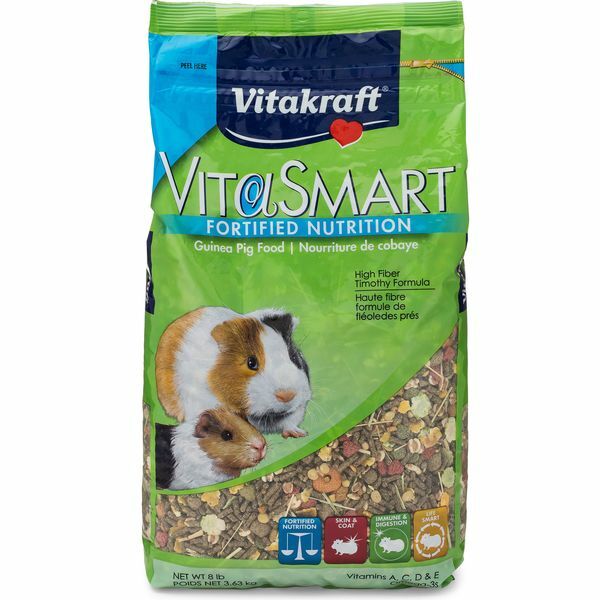 Enriched pellets, mixed vegetables, and whole grains, blended together with extra Vitamin C, helps keep guinea pigs healthy and satisfied. 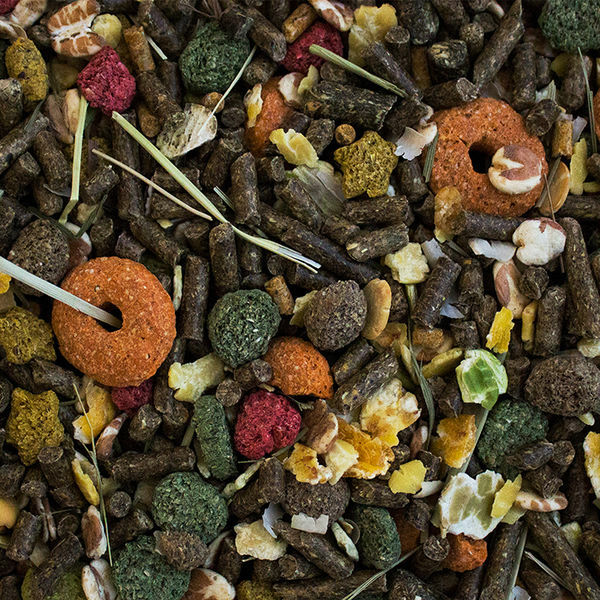 Timothy Grass Hay, Soybean Hulls, Dehulled Soybean Meal, Flaked Peas, Flaked Soybeans, Ground Corn, Flaked Corn, Wheat Middlings, Puffed Wheat, Ground Wheat, Chopped Timothy Grass Hay, Cane Molasses, Corn Gluten Meal, Dried Plain Beet Pulp, Dehydrated Alfalfa Meal, Calcium Carbonate, Yeast Culture, Salt, L-Lysine, Vegetable Oil, Dicalcium Phosphate, Monocalcium Phosphate, Wheat Germ Meal, Ground Flax Seed, L-Ascorbyl-2-Polyphosphate, Apple Juice Concentrate, Potassium Chloride, Magnesium Oxide, Vitamin A Supplement, Choline Chloride, Ground Steam-Rolled Oats, DL-Methionine, Dried Lactobacillus Acidophilus Fermentation Product, Dried Lactobacillus Casei Fermentation Product, Dried Enterococcus Faecium Fermentation Product, Dried Bifidobacterium Bifidum Fermentation Product, Dried Aspergillus Oryzae Fermentation Product, Torula Dried Yeast, Yucca Schidigera Extract, Fructooligosaccharide, Algae Meal, Ground Carrots, Vitamin D3 Supplement, Vitamin E Supplement, Niacin Supplement, Vitamin B12 Supplement, Riboflavin Supplement, d-Calcium Pantothenate, Menadione Sodium Bisulfite Complex, Biotin, Folic Acid, Thiamine Mononitrate, Pyridoxine Hydrochloride, Zinc Sulfate, Ferrous Sulfate, Manganese Sulfate, Manganous Oxide, Copper Sulfate, Potassium Iodide, Manganese Methionine Complex, Copper Lysine Complex, Zinc Methionine Complex, Cobalt Glucoheptonate, Cobalt Sulfate, Sodium Selenite, Color Added (Yellow 5 Yellow 6, Blue 1, Titanium Dioxide), Aloe Vera Gel Concentrate. 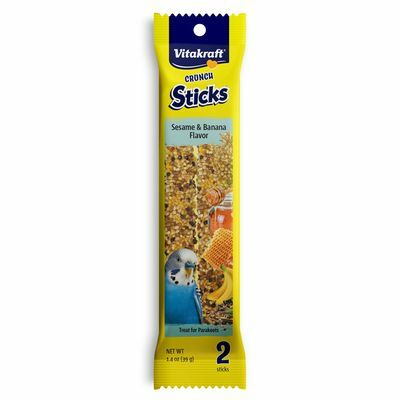 Vitamin fortified crunchy treat sticks made with millet, seeds, and fruit for a tasty, healthy reward.